Tube fitting is a mechanism used both to seal and to grip tubing. The mechanical advantage and geometry of this kind of fitting produces a leak tight assembly. 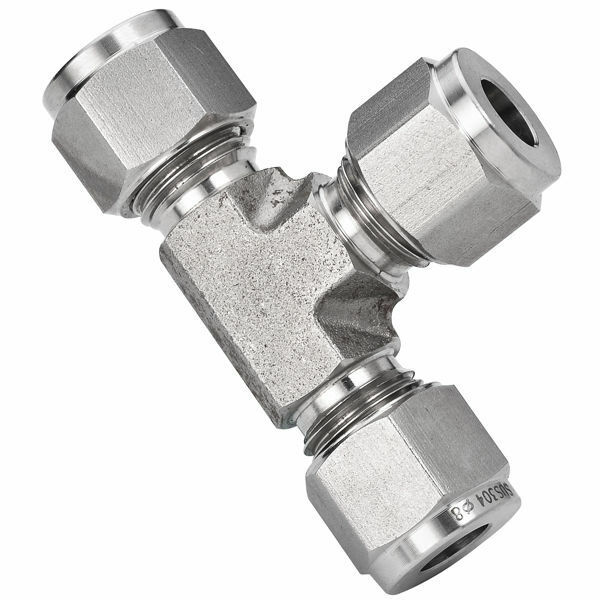 Tube fittings consist of four parts: body, front ferrule, back ferrule and nut. The fluid can be water, refrigeration, instrumentation, hydraulic systems, grease, fuels, LP and natural gas. Accommodate metric tube O.D ranging from 4 mm to 16 mm and inch (imperial) tube O.D from 1/8" to 1/2".